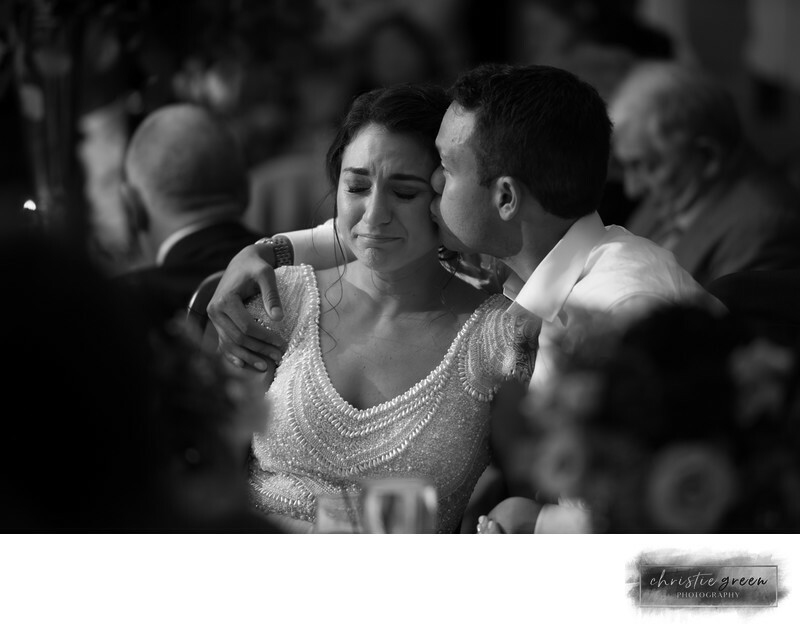 This particular moment took place at a wedding at the Wilmington Country Club in Wilmington, Delaware. The bride became very emotional as her father was giving his toast. These are my favorite moments of the day to capture. I especially love that my client may be surprised to see a moment like this in the gallery delivered to them. This type of photo will bring them back to how they felt at the time this photo was taken. This bride will probably look back on this image for years to come and remember what her father was saying that moved her to tears. These photos to me are the most important photos of the day. The Wilmington Country Club is a beautiful venue for a wedding. Not only do the grounds make for beautiful photo settings, but the ballroom is exceptional. The ballroom boasts large windows that look out onto the golf course. It also can hold a great amount of people. Location: 4825 Kennett Pike, Wilmington, DE 19807.